Dr. Riyanti Djalante is an Academic Programme Officer at UNU-IAS, as of July 2017. She coordinates the Research and Policy Development stream on Global Change and Resilience, which develops approaches to address climate change, build community resilience, and reduce disaster risks. Dr. Djalante’s research focuses on issues related to sustainable development, governance, disaster risk reduction, and climate change adaptation. Since joining IAS, she has taught numerous courses on various aspects of sustainability science and supervised the research of both Master’s and Ph.D. students. Previously, she worked as a Research Associate at the UNU Institute of Environment and Human Security (UNU-EHS) in Bonn, Germany. Dr. Djalante is involved in various research networks and collaborations. She is an IPCC Lead Author on the Special Report on Impacts of 1.5 Degree Celsius (SR 1.5) and the UN Environment Global Environmental Outlook (GEO) 6. She previously received an Alexander von Humboldt stipend for experienced researchers. She has participated in various initiatives such as the Earth System Governance Network as an Earth System Governance Research Fellow and the International Social Science Council (ISSC) as a World Social Science Fellow on Risk Interpretation and Action. She has also been an “Enhancing scientific capacity to inspire informed action on global environmental change” (START) Fellow, an Integrated Research on Disaster Risk (IRDR) Fellow, and worked with the Urbanization and Global Environmental Change (UGEC) Research Associates. In Indonesia, she worked as Head of Division of the Disaster Management Department of the local government of Kendari City. 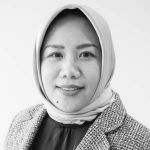 She worked in local government for a total of ten years where she was involved in development planning, implementation, and evaluations–and project planning and management, from the community to the national level. She also taught as an Honorary Lecturer at Halu Oleo University, teaching on subjects of disaster risk reduction, climate change adaptation, and sustainable development. In addition, Dr. Djalante has consulted for various international organizations (World Bank, ADB, USAID) on issues related to sustainable development, governance, and disaster risk reduction in Indonesia. For more information, please refer to her Google Scholar profile https://scholar.google.com/citations?user=3WdneykAAAAJ&hl=en. Izumi, Takako, Shaw, Rajib, Ishiwatari, Mikio, Djalante, Riyanti and Komino, Takeshi, Thirty Innovations for Disaster Risk Reduction (Online: United Nations University, 2019). Disaster Risk Reduction in Indonesia: Progress, Challenges, and Issues, ed. Djalante, Riyanti, Garschagen, Matthias, Thomalla, Frank and Rajib Shaw (Cham: Springer International Publishing AG, 2017). Surtiari, Gusti Ayu Ketut, Djalante, Riyanti, Setiadi, Neysa J. and Garschagen, Matthias, “Culture and Community Resilience to Flooding: Case Study of the Urban Coastal Community in Jakarta” in Disaster Risk Reduction in Indonesia: Progress, Challenges, and Issues, ed. Djalante, Riyanti, Garschagen, Matthias, Thomalla, Frank and Rajib Shaw ( Cham: Springer International Publishing,2017), 469-494. Surtiari, Gusti Ayu Ketut, Setiadi, Neysa J., Garschagen, Matthias, Birkmann, Joern, Djalante, Riyanti and Maunati, Yekti, “Coastal resilience in Indonesia: from planning to implementation” in Spatial planning and resilience following disasters : International and comparative perspectives, ed. Greiving, Stefan, Ubaura, Michio and Tesliar, Jaroslav ( Bristol: Policy Press,2016), 99-116.